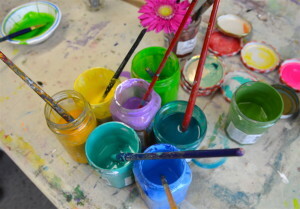 Liberate your own unique, authentic creative expression! 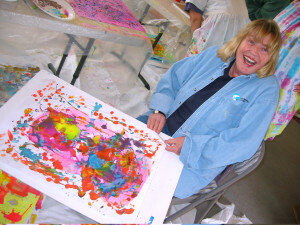 This full-immersion intuitive painting workshop gives you the freedom to express your inner Self without self-criticism. Proven techniques will overcome blocks and open the doorway to inspiration. Discover the bliss of losing yourself in the vibrant flow of creative energy. Experience true originality and spontaneity of expression. The freedom you experience translates to all modalities of Art & Life. Dive into the creative process without preconceived plans and notice how this transforms your approach to creating your world. When you learn to follow the inner flow, life shows up differently. 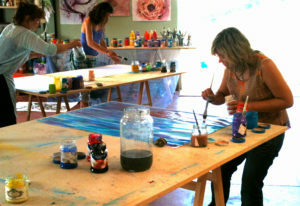 We use Intuitive Painting to access the holy wisdom of our Soul- to commune with the inner realms of heart, soul & spirit. 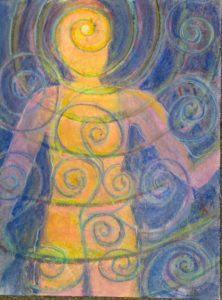 Flowing, spontaneous and intuitive painting naturally opens you to the Divine Realms – to what is deepest and highest within you. 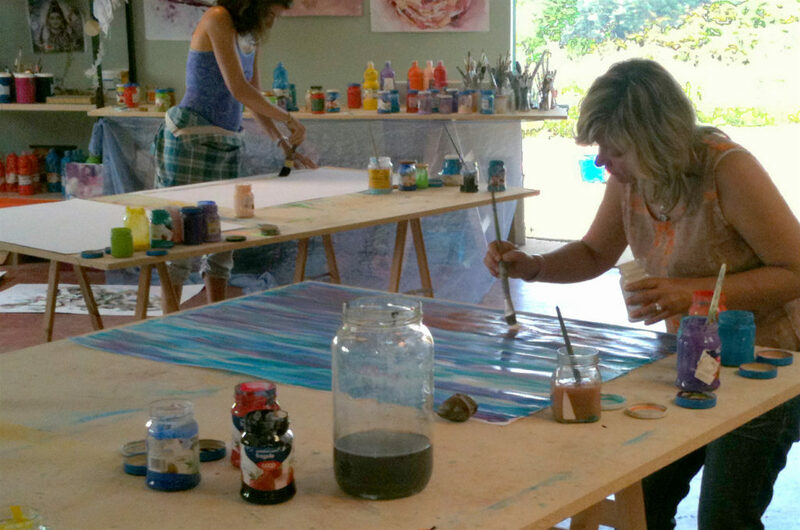 Intuitive painting is a powerful intuitive, spiritual and creative practice. 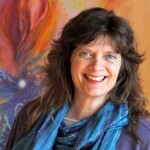 ♥ How to OPEN the doorway to inspiration- and to your own inner depths. Absolutely no talent or experience is required. Non artists will discover the artist within. 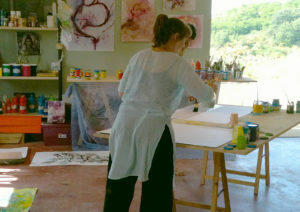 Practicing artists will refresh their inspiration and learn how to remain in the zone of high vibration creative flow.